Official Puma product which is brand new with tags. This is the 2016-2017 season 3rd shirt. 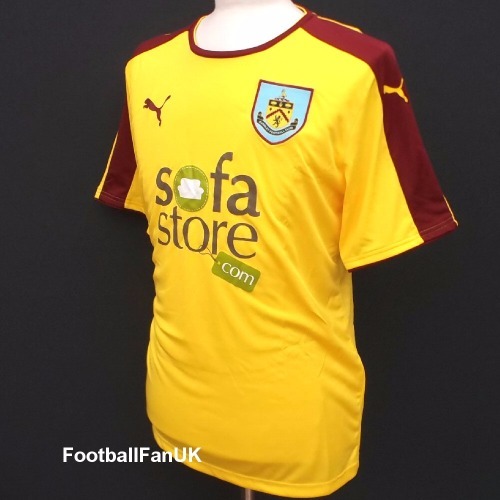 It was also used as the 2015-2016 season away jersey of Burnley FC, as the club won the Championship to return to the Premier League after just one season away. - Yellow with claret trim. - Official Puma away shirt for 2015-2016 and 3rd shirt for season 2016-2017. - Adult Large size. Chest 43", length 28". - Adult XXL size. Chest 49", length 29".